Following up from our Beyblade themed posts from last week, I have another Beyblade freebie to share with you today. Today I am posting some Beyblade coloring pages. 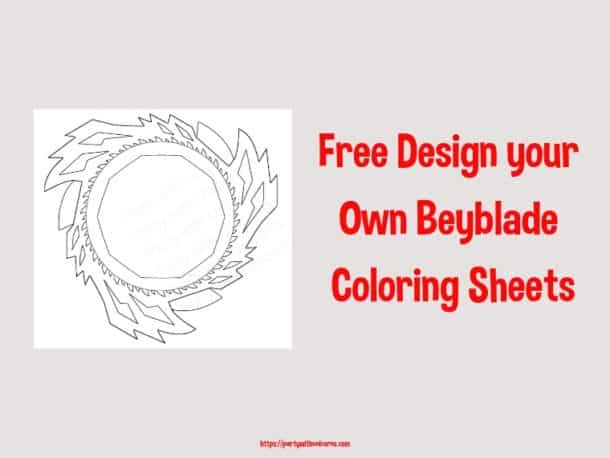 These coloring sheets do not have a detailed Beyblade design in the center, so they are perfect for letting kids use their imagination to design their very own Beyblades. They can design valtryek, xcalius, pegasus or make something of their very own. I tested this template with my son and I was so impressed with the creatively he showed in designing and naming his own bey. 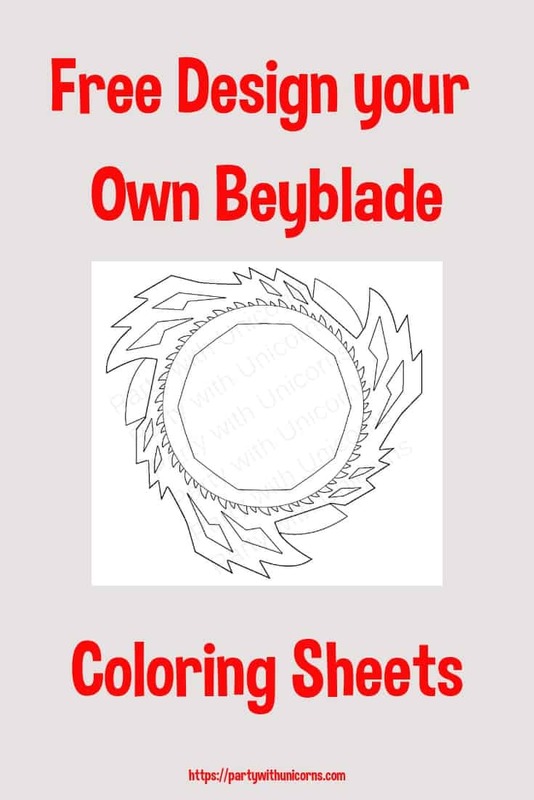 You can download the Beyblade coloring pages at the bottom of this post. This Beyblade coloring sheets also second for tops to Beyblade favor boxes that I posted last week. Once your child is finished designing his Bey, you can cut out the design and attached it to the top of our Beyblade favor box. If you are not having a party, these favor boxes also make super fun paper Beyblades that your child can play with and spin. 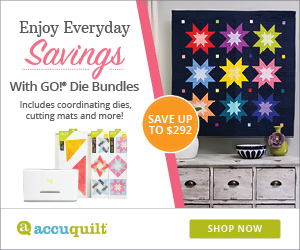 Within this post, I have included three different size templates for you to work with. If you are planning a Beyblade birthday party, then be sure to check out our entire selection of Beyblade post. We have all sorts of free Beyblade materials available for download, including Beyblade Party invitations and Beyblade Party printables. 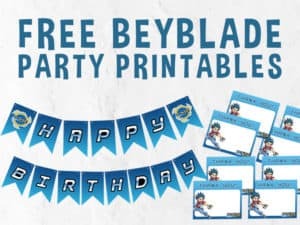 The printables include a Beyblade birthday banner and thank you cards. The templates all match and feature Volt Aoi. 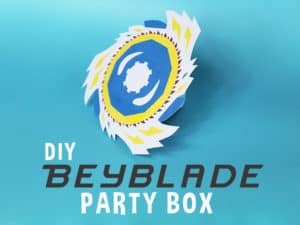 If you need some ideas and recommendations for your upcoming Beyblade party, check out my recent post on how to throw an amazing Beyblade party. 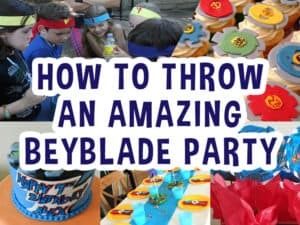 This post will give you all lots of ideas on how to throw a perfect party for your Beyblade fan. 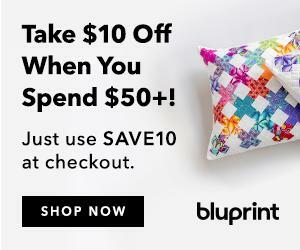 If your son or daughter loves coloring, you and also check out our section of free coloring sheets. Here you will find coloring pages for all different holidays, seasons and interest. 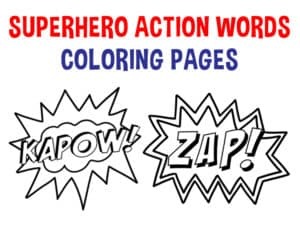 These superhero actions pages are one of our most popular sets. To download the page, simply join our mailing list below.